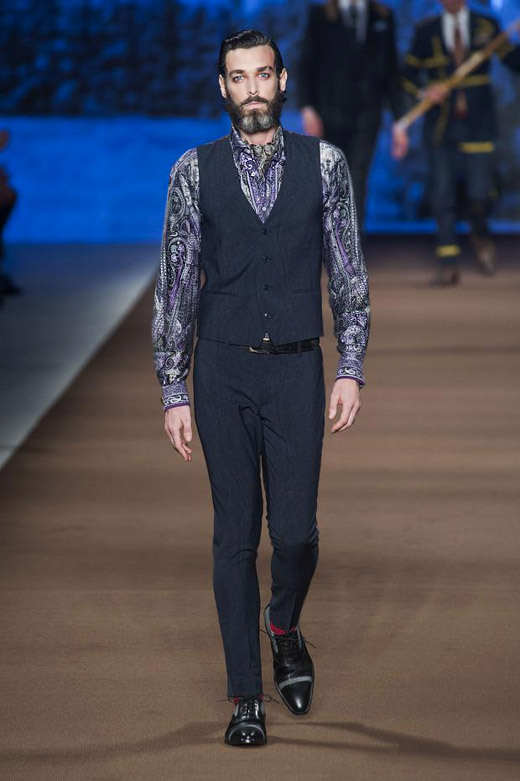 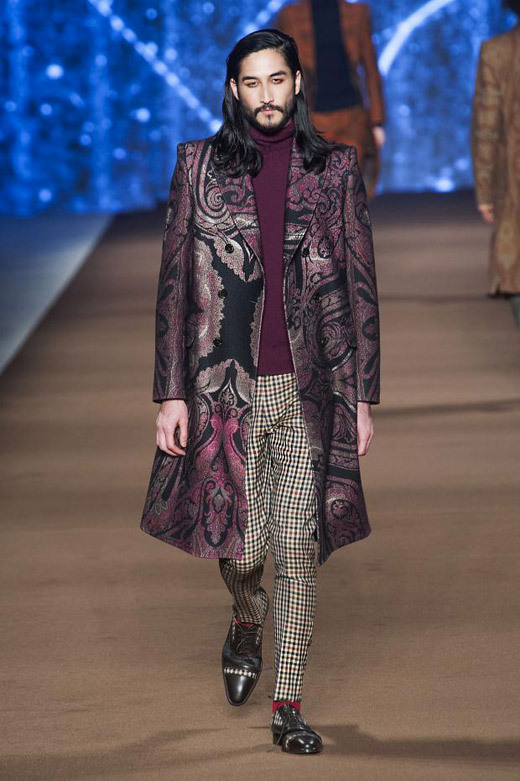 Tightly fitting pants, waistcoats and three-piece suits combined with accessories in the same patterns (colorful checks or paisley print) are the key elements of the collection. 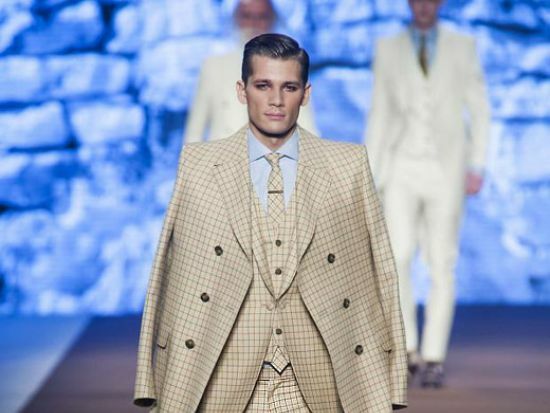 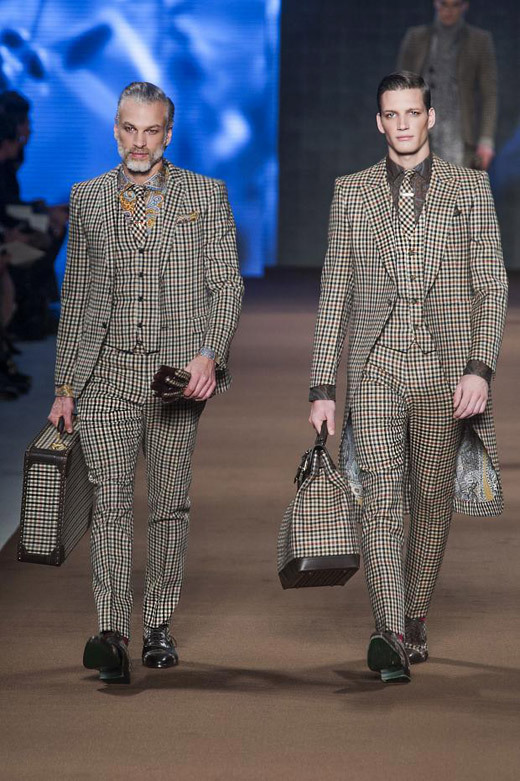 To show that a well tailored suit works, no matter what age the man is, stylish father-son models walked in pairs down the runway in similar suits. 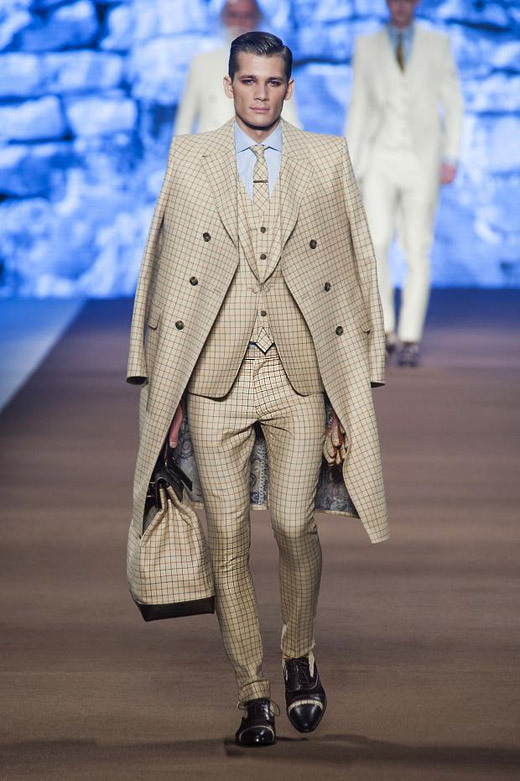 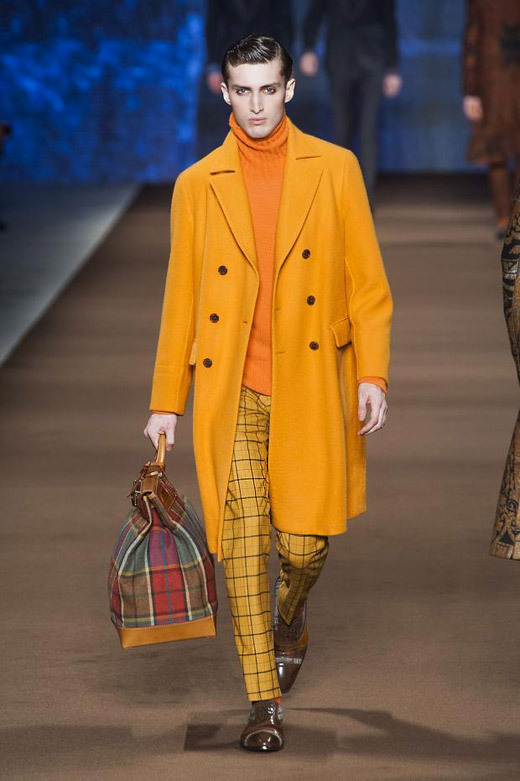 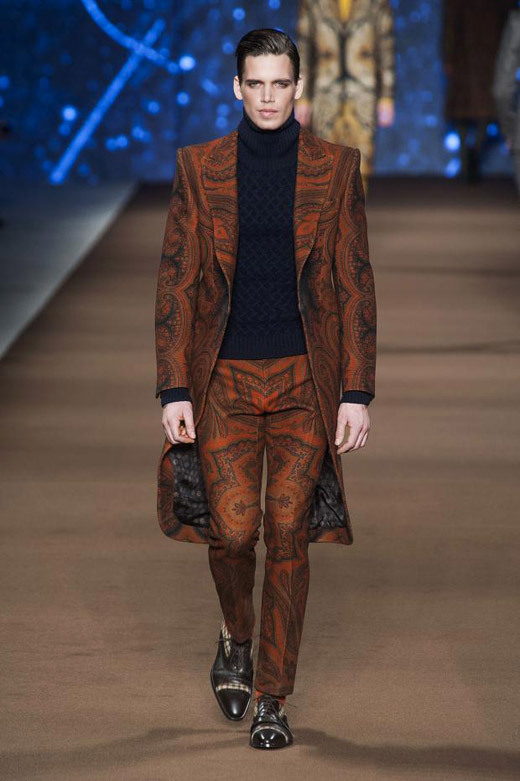 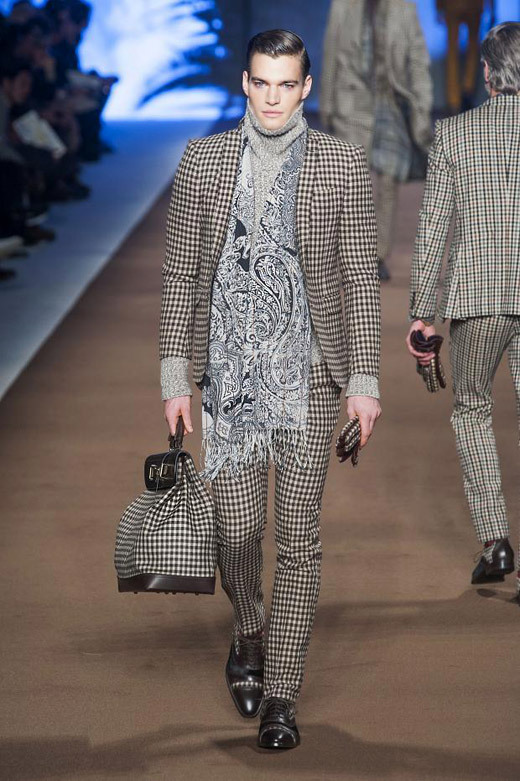 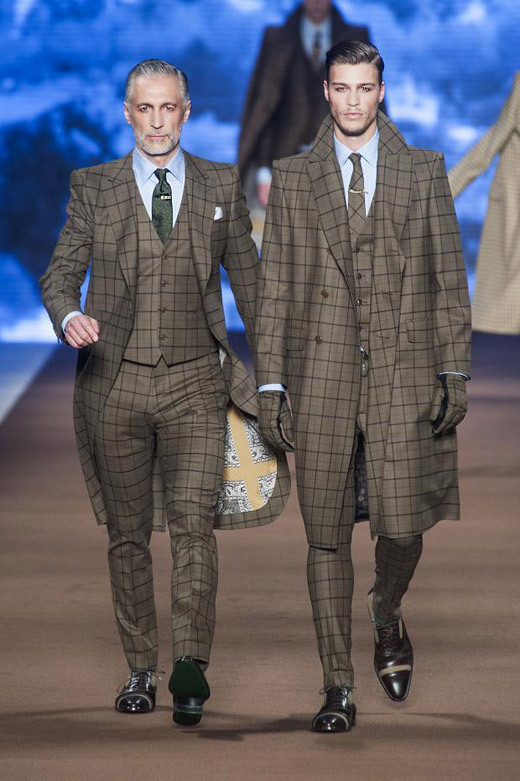 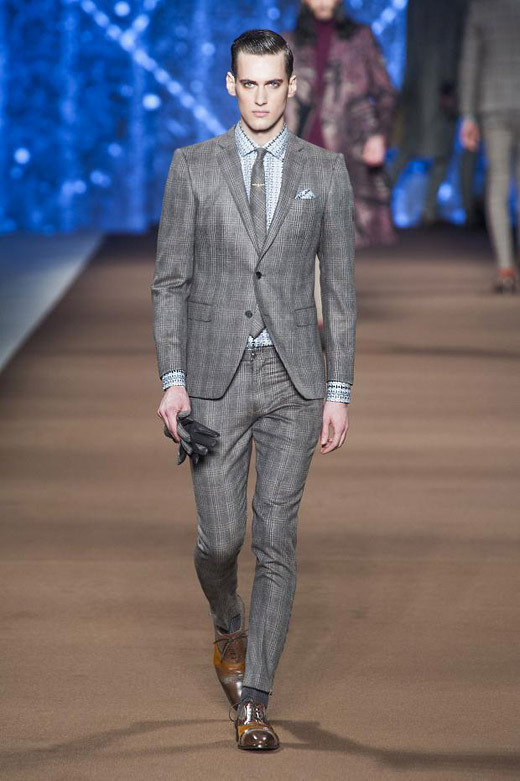 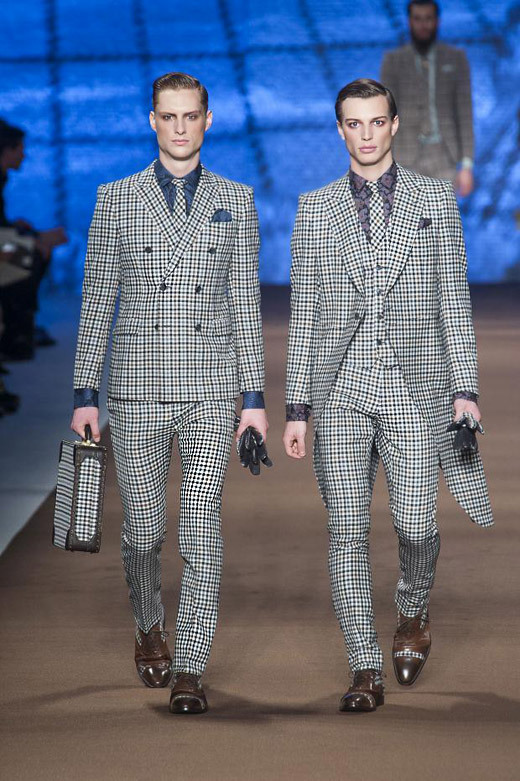 Kean Etro, head of the menswear line, combined suits with elegant accessories - bags, gloves, shoes, ties, all in the same print. 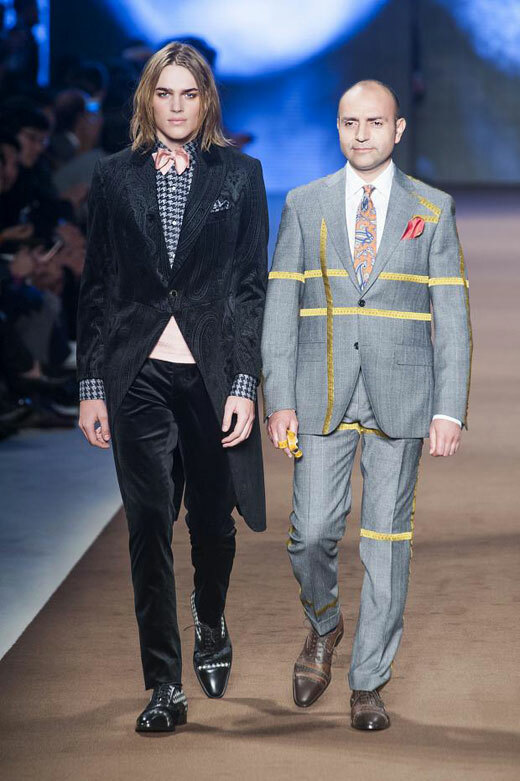 At the end of the show an army of tailors with scissors and measuring sticks in hands walked the catwalk alongside some of their creations.